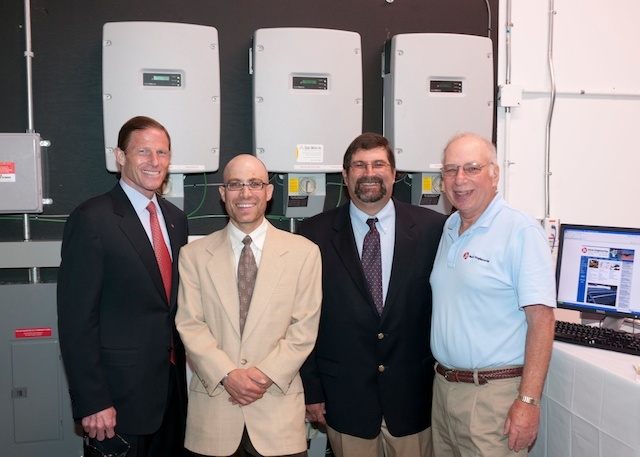 On Friday June 25th, Connecticut Attorney General Blumenthal and a couple of his staff members visited our East Hartford operations. We were referred by the Connecticut Center for Advanced Technology. CCAT is an East Hartford neighbor, and they were asked by Attorney General Blumenthal’s campaign team for a reference to a manufacturer who was using renewable energy. It was nice of CCAT to think of Horst Engineering, because we are a 64-year-old manufacturer with plants in Connecticut and Guaymas, Sonora, who cares about our energy consumption, and offsets our use with the production of solar power. Attorney General Blumenthal is one of the leading candidates running for the United States Senate seat that is currently held by Christopher Dodd, who is retiring. 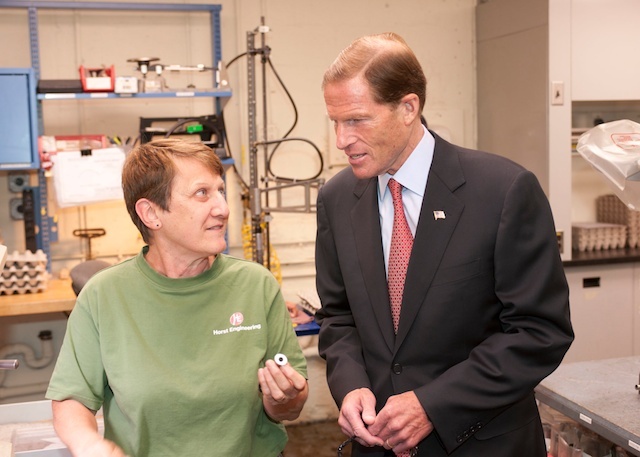 Attorney General Blumenthal toured our two East Hartford plants, and met many of our employees. We highlighted a full list of challenges that we face. We focused our discussions with the Attorney General on the precision machining/manufacturing industry, and our core high technology markets of aerospace (aircraft components and hardware) and medical devices (orthopaedics and surgical instruments). Our 39kW solar PV system went live in January 2009 and last year, we produced 60% of the power needs at our 7000 sq/ft 41 Cedar St. plant–with 128 rooftop panels. In 2010, we are ahead of projections and it was fortuitous that Attorney General Blumenthal’s visit came on a super solar day. Our internet based monitoring system shows that 250.5 kW hours of clean energy were produced on Friday.